Shazam! is one of the sharpest, most witty outings set in the DCEU largely thanks to the childlike charm Zachary Levi’s red-clad hero exudes whenever he is on screen – and finding a name for him works as one of the movie’s best running gags. It might be an age-old idiom, yet there's still something to be said about waiting years for a Captain Marvel movie only to have two arrive at once. Not only in the same decade, no. Not even the same year. But in the span of a month? There must be some magical forces at work – and this is apt considering the spellcasting superhero adventure DC’s Shazam! sets you on, starkly setting itself apart from the stars we saw Carol Danvers reach for during her cinematic outing. For anyone worried about the convoluted story behind the character’s naming history, fear not. Shazam! is one of the sharpest, most witty outings set in the DCEU largely thanks to the childlike charm Zachary Levi’s red-clad hero exudes whenever he is on screen – and finding a name for him works as one of the movie’s best running gags. With 2018’s Aquaman starting the shift into a much lighter take on this universe, Shazam! 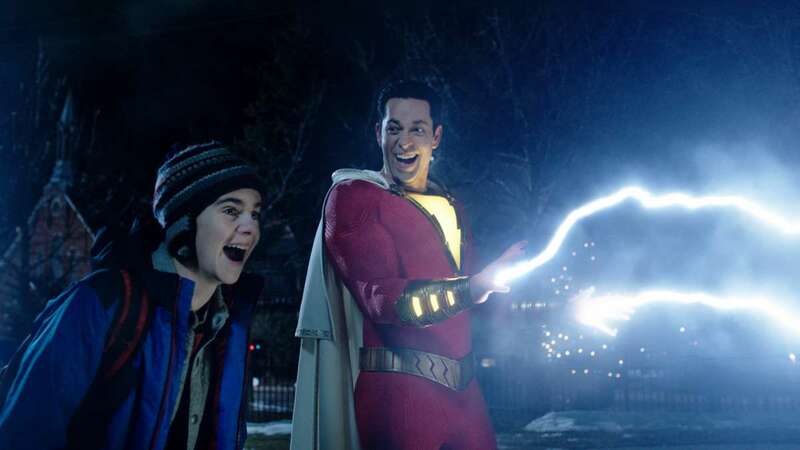 kicks it up a notch by poking fun at the genre’s sometimes self-seriousness, alongside late ‘90s family films of which Shazam! feels like it just fell right out of. At times, however, this sense of throwback can slightly be to Shazam!’s detriment. Particularly formula-wise, because it doesn’t throw the superhero rule book too far out of the window. 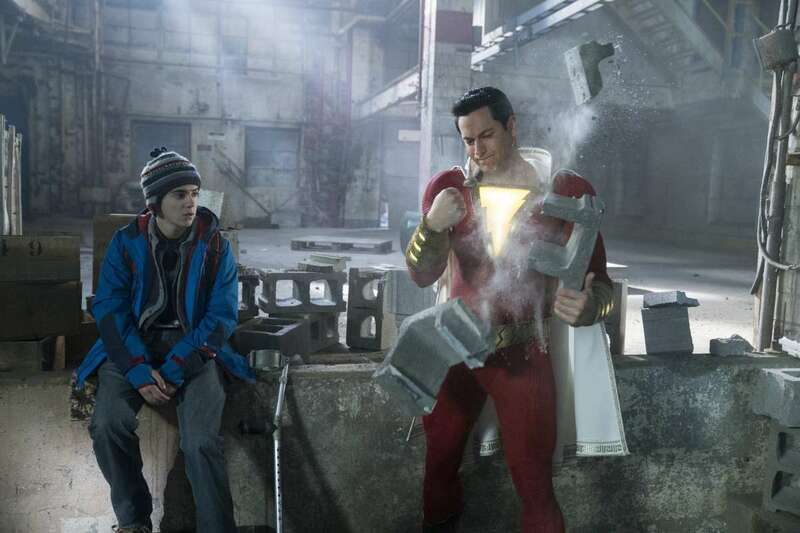 The hero and villain’s respective origins run parallel, for example, and while we do get to see the extent of Billy Batson’s powers by the movie’s spectacular climactic battle, a lot of time is spent on him and foster brother Freddy (played by Jack Dylan Grazer) discovering exactly what his abilities are. What is refreshing about Shazam! overall is just how much of an ensemble piece it ends up being. Asher Angel’s young Billy Batson is welcomed into a group home early on, and his various new siblings do well to avoid the standard archetypes you’d expect. The same can’t be said for Mark Strong’s Dr Thaddeus Sivana, though, whose pursuit for power is a little uninspired. Thankfully the esteemed actor makes the most of the dialogue he’s given to chew on, and his ability to host the Earth’s seven deadly sins allows director David F. Sandberg to play with his horror roots in fun ways. Is Shazam! a bold new step that will lead the DCEU into a golden age of movies? Not really. But in many ways being free of the expectation to set up an extended universe is what lets Zachary Levi’s muscle-bound champion fully take flight. In a world where we’re told such superpowered beings are people we should aspire to be, it’s nice to see one not have that responsibility be a burden and instead enjoy the act of saving people.